Crafted from Oak, this chunky collection demonstrates rustic beauty at its best. The gentle curve corner detail is exquisite throughout all pieces. To further add to the versatility of this collection, each piece features a handle detail and has a separate metal plate which can be slotted into place to bring a different look and finish to the collection. If you prefer the natural wooden handle, simply remove the metal plate or swap and change depending on how you wish the range to look... the choice is yours! This really is a simply stunning timeless Oak collection. 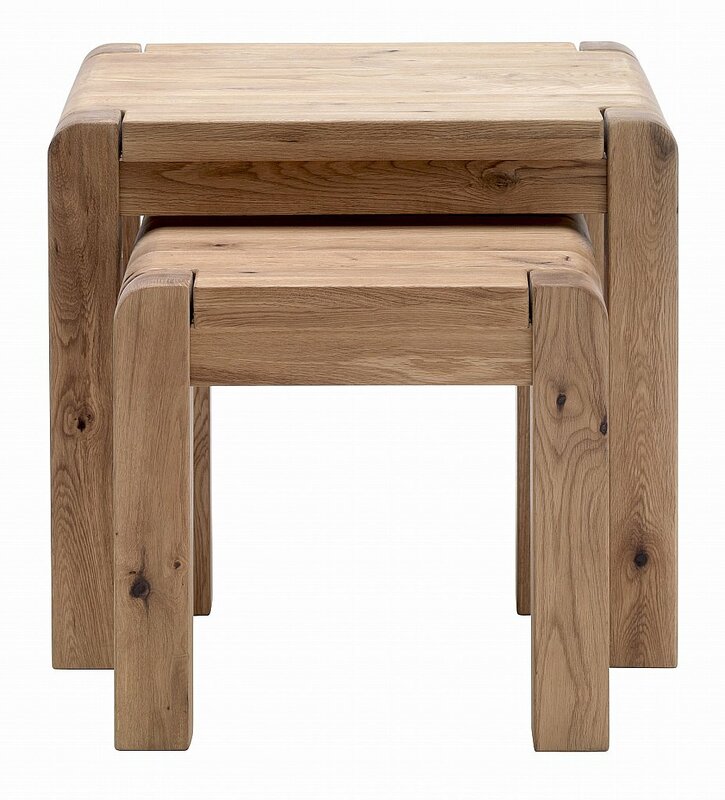 I would like more information about Imola Nest of Tables by Sturtons.